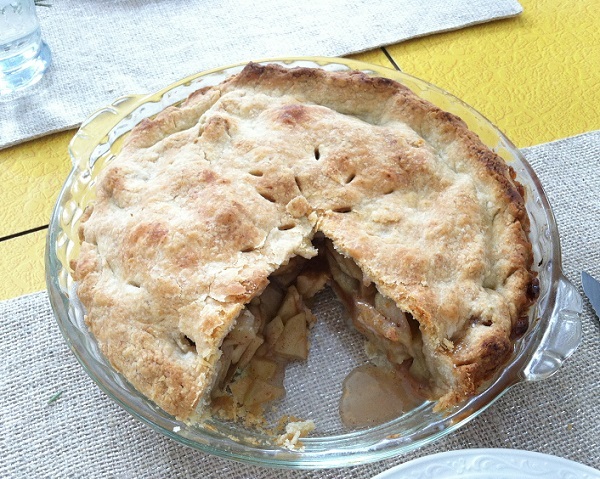 We celebrated my dad’s birthday last weekend and since he is not a big sweets eater, but will tolerate apple pie, I made him an apple pie. After all, when you celebrate someone’s birthday who doesn’t like sweets, how can you NOT have sweets for all the people who do like sweets? 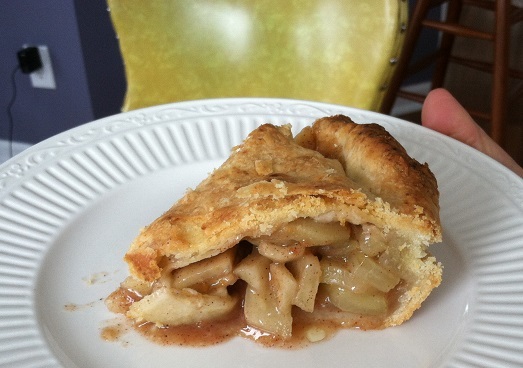 I actually do not really like pie because I do not like crust. I think it is blah-tasting. I do like the insides of most pies, though, so not all is lost when pie is the only sweets option. But, because of this, I have not made many pies in my life (as of this moment, I have made two). And somehow, I sort of always forget that Paul really, really likes pie and I always make something else when I’m baking. To be fair, he really, really likes a lot of other sweets too. But still. I forget. I made a pie one other time, a long time ago. It was an epic fail. A peach pie that ended up terribly soggy and not even the inside of the pie was tasty and I don’t know why. Maybe it was the canned, mushy peaches that I didn’t slice up. So, when making this pie for my dad, I was going completely on knowledge I have gleaned from the Food Network and reading cook books and cooking magazines. And of course, there were some problems, specifically with the crust. I put everything in the food processor as directed and then poured some water in to make it come together. You are supposed to put only enough water to make the dough hold together when you squeeze a little bit in your fingers. I did that. Then I put it on the plastic wrap to put in the fridge for a while and had trouble wrapping it up because it was so crumbly. I thought maybe the little nap in the fridge would make things absorb. Nope. I went to roll it out and it just fell apart. 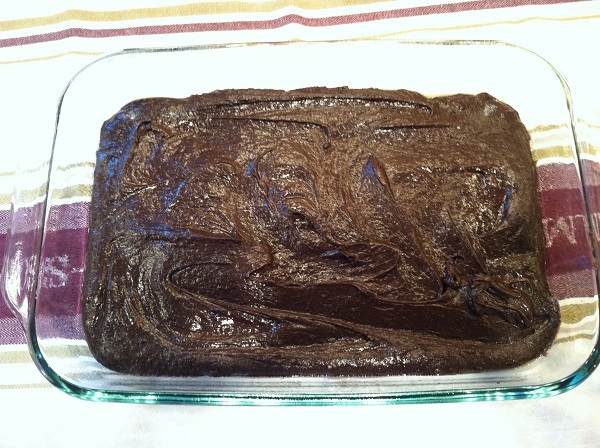 So, I popped it into a mixing bowl, added some water, worked it in with my hands and then rolled it out. I also had trouble making the top crust the right size and it was a little lopsided, with one crust edge being much thicker that the other parts. But you know what? I used Martha Stewart’s Basic Pie Dough recipe with one change: I used 1/2 cup butter and 1/2 cup shortening (instead of one cup of butter) since I heard/read somewhere that it helps make the crust flakier. 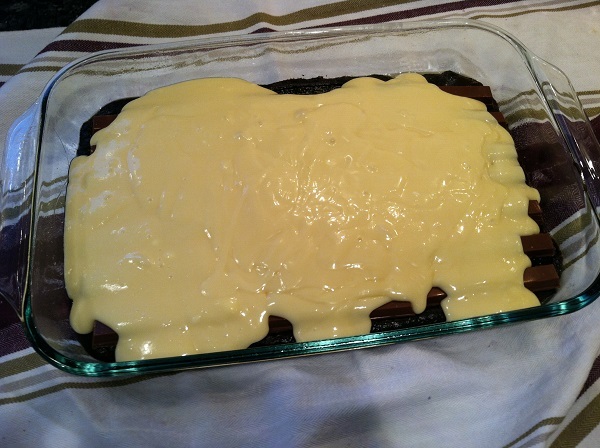 Then I used the Good Housekeeping Cookbook (my trusty stand-by for a lot of recipes) for the pie filling. Apples, flour, cinnamon, nutmeg, lemon juice. Obviously, I’m quite proud of myself and the next time it will be even better. If that’s possible. Ha ha. 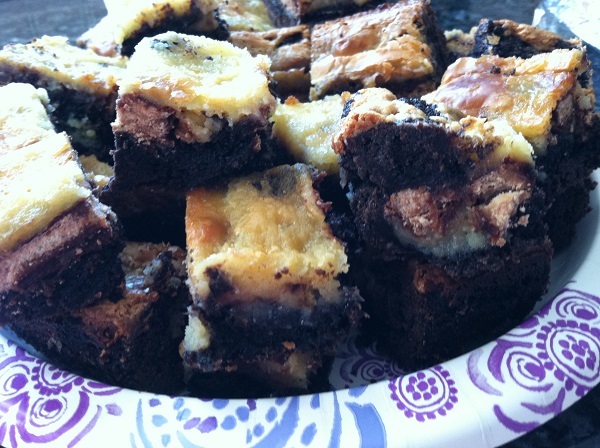 The second thing I baked was Kit Kat Cream Cheese Brownies from the Bakerella blog. I don’t know what it was, but they intrigued me. 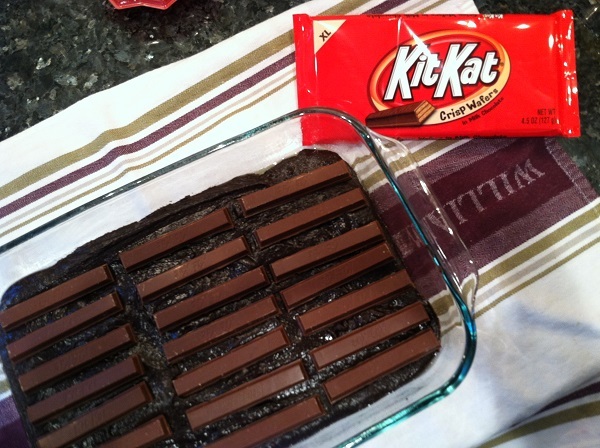 Probably because I love Kit Kats. They were very rich and very sweet but quite tasty and I’m told they disappeared quickly! 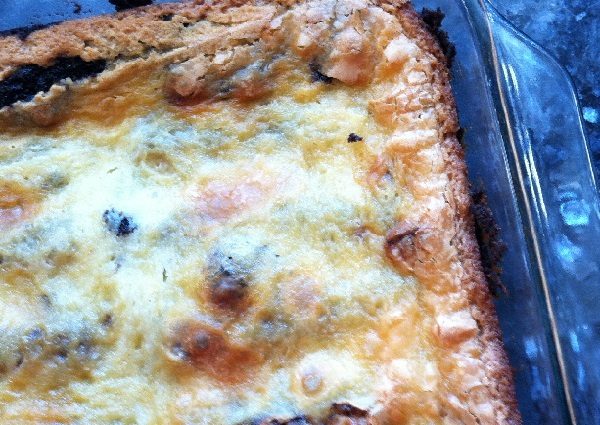 Posted in Uncategorized and tagged apple pie, good housekeeping cookbook, kit kat cream cheese brownies, martha stewart on April 8, 2014 by lizytish. Now that is a piece of pie! It’s funny I could tell just by looking at it it was delicious. It’s true , you didn’t have that dome-y thing going on, either. Two baking home runs! Yay for two baking home runs! I hope you like them Annette!